Overview… a college pre-med student with no time for romantic notions. Paige is a small-town girl who dreams of joining Doctors Without Borders, and she’s unimpressed by charm and luxury. 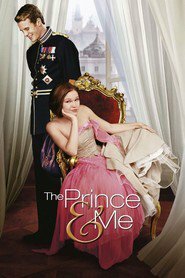 In fact, she is often suspicious of these things, which, coupled with her sometimes unforgiving nature, causes Paige and Eddie – a Danish prince trying to go incognito as an exchange student – to have an antagonistic relationship at first. Personality… ambitious, hard-working, and spunky. Paige doesn’t hesitate to offer a bitingly honest observation or a sarcastic retort when the situation calls for it. She is single-minded in her determination to reach her goals, and she refuses to let anyone get in her way – no matter how handsome and royal a person happens to be. Paige Morgan's popularity ranking on CharacTour is #2427 out of 5,000+ characters. See our top-ranked characters and read their profiles.